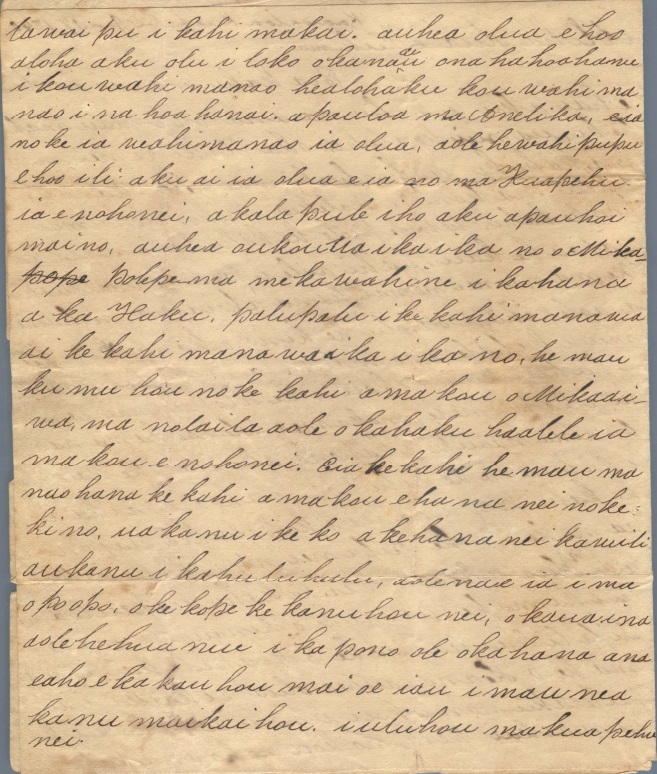 In this letter, Lydia Nāmāhāna writes to Jeremiah Evarts testifying to her strong Christian faith and practice. Lydia Nāmāhāna Piʻia, a high ranking chiefess, was a wife of Kamehameha I and daughter of Keʻeaumoku Pāpaʻiahiahi, also being Kaʻahumanu’s sister. 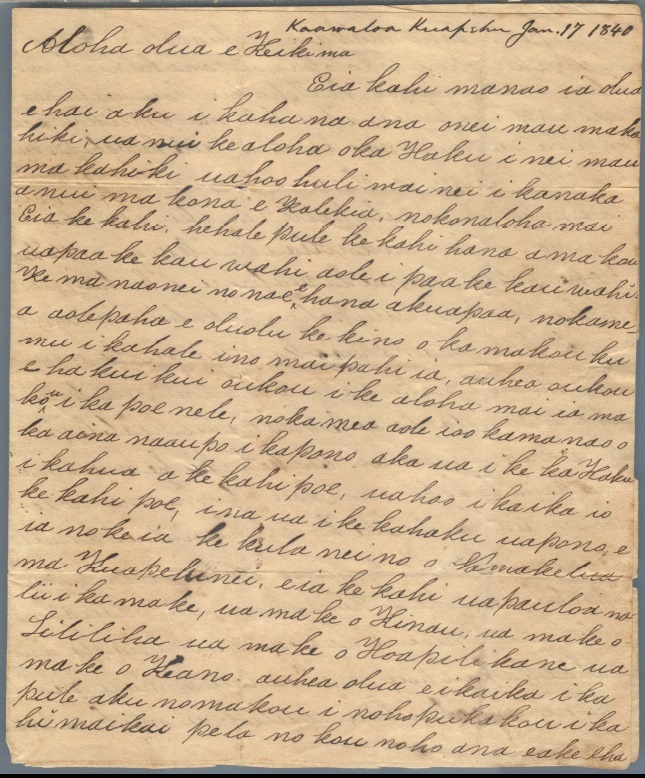 Nāmāhana was an early convert to Christianity and wife of Gideon Laʻanui, another early supporter of the missionizing effort. Jeremiah F. Evarts was an early leader of the American Board of Commissioners of Foreign Missions (ABCFM). He was a reformer who advocated for the rights of Native Americans and wrote under the pseudonym William Penn. 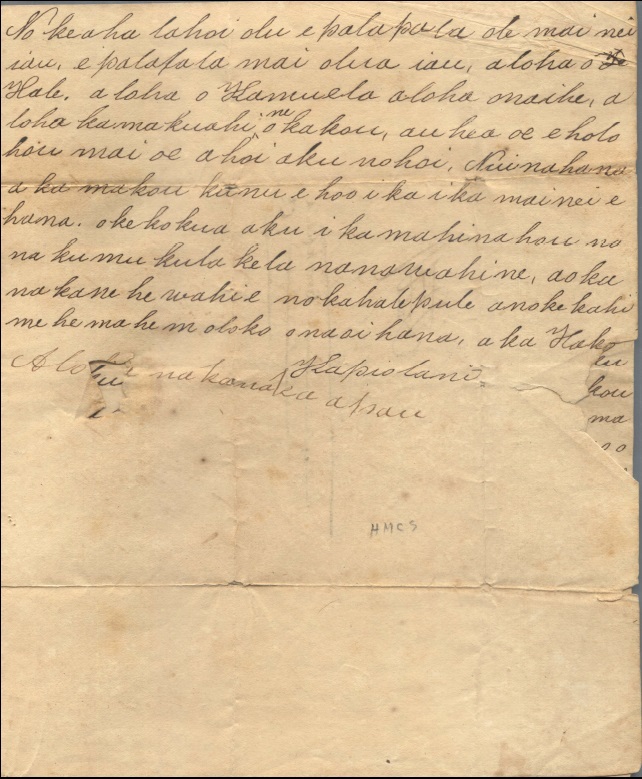 Namahana – Evarts Mar 12, 1828-1.